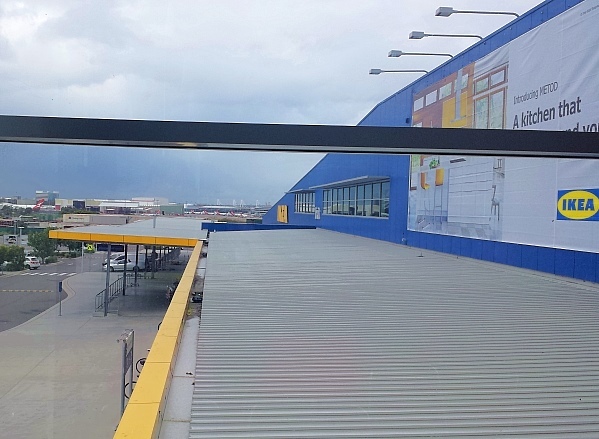 When we dropped the parents off for their flight to Vancouver back in July, we made a visit to IKEA Tempe. The restaurant there is perfectly situated for plane geeks like us if the wind is right – planes fly right past the large picture windows on their way to land on the big runway. This IKEA now has a cafe where you can get proper coffee, sandwiches, muffins, cakes and slices. 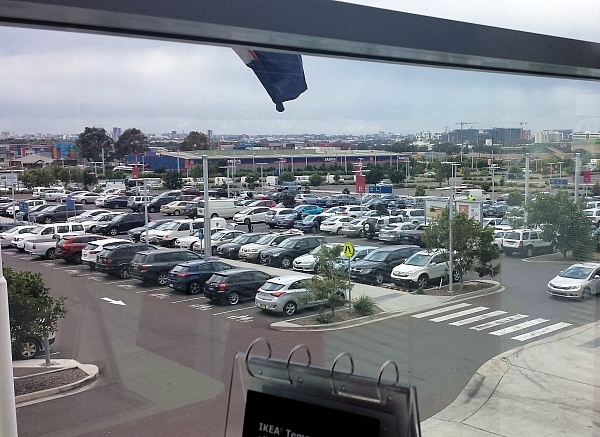 I’m not sure if this is present at all IKEAs yet. 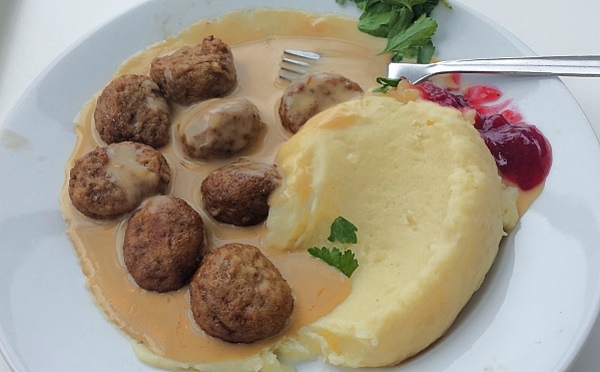 Of course the Swedish meatballs are always awesome. So what did we buy? 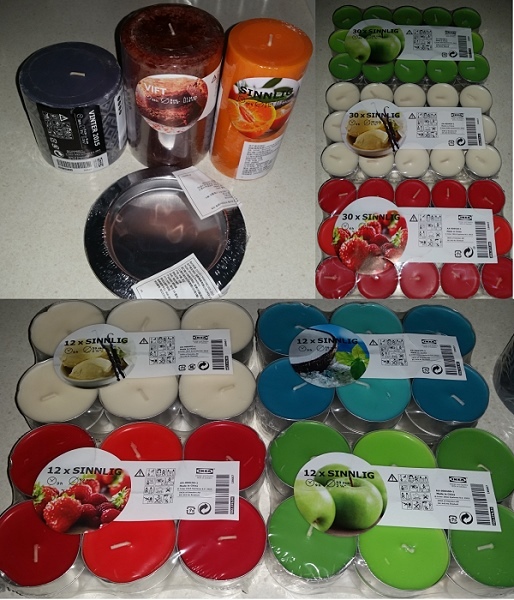 Candles are always going to end up in the trolley. We needed some more KALAS cups. They hold 250ml, are microwave and dishwasher safe, and are plastic, thus Safe For Snoskred Use. 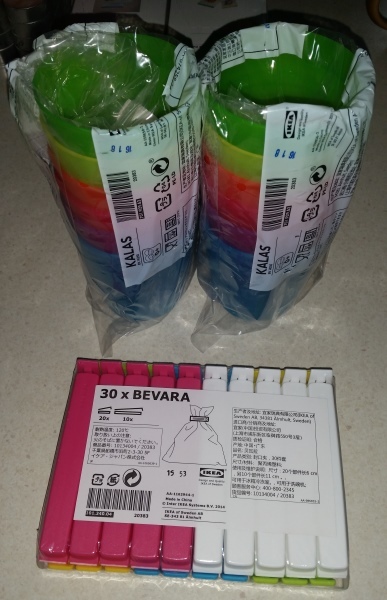 We also got some more of the plastic bag sealers. These things are super handy! 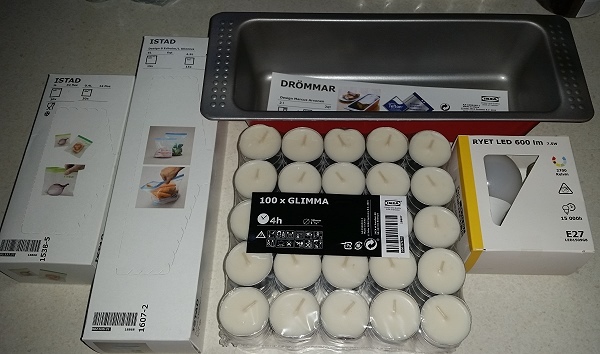 Here you see some ziploc bags, tealight candles, a cake tin, and some LED light globes. 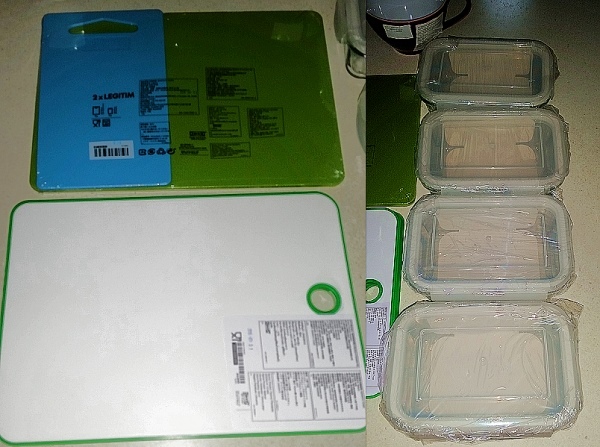 Chopping boards and glass containers that we use for lunches for The Other Half. He handles them for the most part, as I tend to break glass. And finally, some very large mugs. My favourite IKEA mug (scroll down to the bottom of that post) is getting on in years and it gets used every single day. 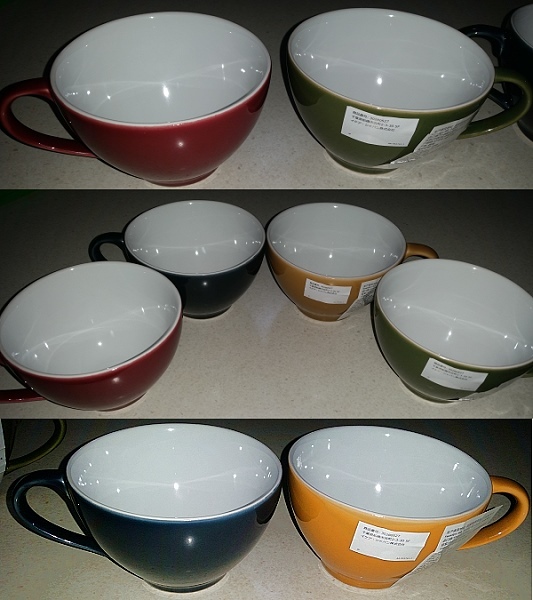 So we bought these ones, which are just as large, to give that poor mug a break from the constant daily use. I have yet to try the restaurant at our ikea. I’m always meaning to, but it never happens. Someday! I’ve heard that the food is good there, but I’m terrified of IKEA. Of course, the only one I’ve been to was the Brooklyn one and it was CRAZY! Ooh I must get some more of those resealable clip thingos so I don’t have to use bulldog clips. I bought some of those bag sealer thingys, gave half the pack to my kids and kept the rest. Never use them. I’ll get them back from my kids who also don’t use them and next time you’re in Adelaide you can stop in and get them.